Please note that if the log file already exists it will be overwritten by this operation. When the log file is created, you can send it to our support. 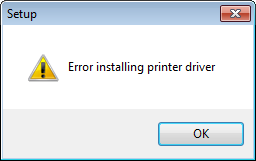 You can probably fix it if you read about printer driver installation. Some users have seen the error 0x000003ee (1006) during installation of the printer. We have seen two different causes and resolutions for this problem. Avast Antivirus - Running Avast can cause this error. Disable the program during installation and enable it again when you are done. TEMP environment variable - The TEMP environment variables is pointing to a folder that does not exist. In this case, you should create the folder or point the TEMP variable to a valid location.